Homeowners today are placing a greater emphasis than ever before on eco-friendly building tactics and renewable energies, and architects and contractors are racing to make those green dreams come true. The result? Highly sustainable designs that embody efficiency as well as environmentalism. These green designs not only allow the homeowner to save money long-term, they could also help reduce our carbon footprints and mitigate the slow-boil effects of climate change. When it comes to bringing these innovations to life, Santa Cruz Green Builders has locals covered. The construction company strives for smart home design that brings science and technology back into the building field while keeping the environment and human health in mind. Here, Waves takes a look at three of its most impressive projects. After you’ve picked your jaw up off the floor, take note of our ideas for implementing renewables into your own domicile and a peek at the most fascinating green homes from around the world. 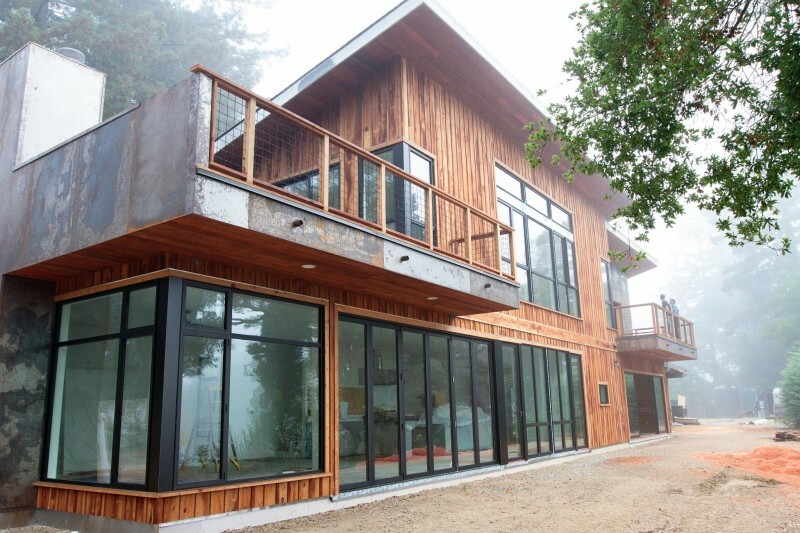 The Maser residence is a modern, barn-style home being built in the Soquel Hills for owner Carrie Maser. With an abundance of dense redwood growth on the property, a team selectively logged the landscape, choosing trees that would have otherwise prevented other, closely situated, larger redwoods from accessing their full potential of sunlight. The house is also outfitted with all LED low-power lighting, passive solar that generates radiant heating, and a rainwater catchment system that feeds an on-location vineyard. Maser, a graduate of the College of Natural Resources at UC Berkeley, says that it was important that the home reflect her values of responsible land stewardship. The Reid/Ganley residence—a small, compact home owned by Dave Reid and Damara Ganley—is a marvel of resource reclamation, featuring an assortment of would-be waste products that have been re-purposed for various aspects of the construction. 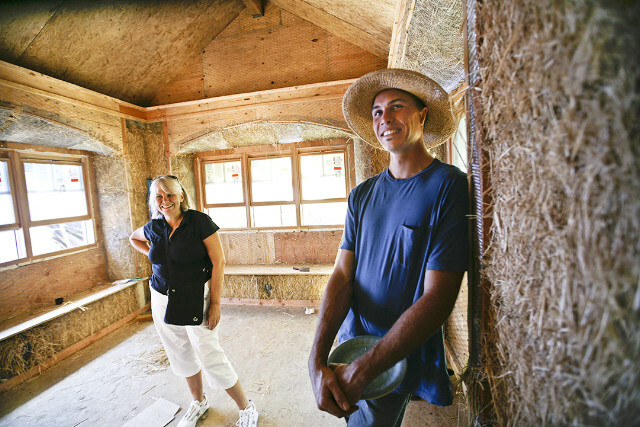 The walls of the house are built using straw bales, which were salvaged from rice farms in the Central Valley and serve very well as insulation. Two of the exterior doors were built using reclaimed wood from wine barrels, the flooring in the kitchen and bedroom were made using the scraps of wine bottle corks, and a number of terraces and garden walls were manufactured with chunks of reclaimed concrete that otherwise would have gone to the scrap yard. The concrete foundation of the house is composed of about 30 percent “fly ash,” which is a by-product of coal power plants. The crown jewel of the Reid/Ganley home is the “living deck”—a 664-square-foot patio-esque area with four inches of topsoil filled with native plants. 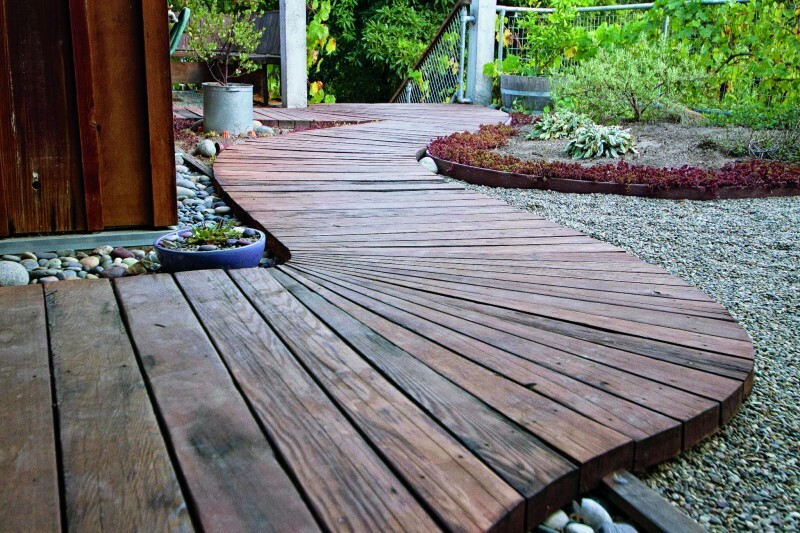 Similar to a living roof, the planted deck space is a high-efficiency method for insulation, a means of creating better air quality around the home and an ascetically pleasing way to visually activate the space. 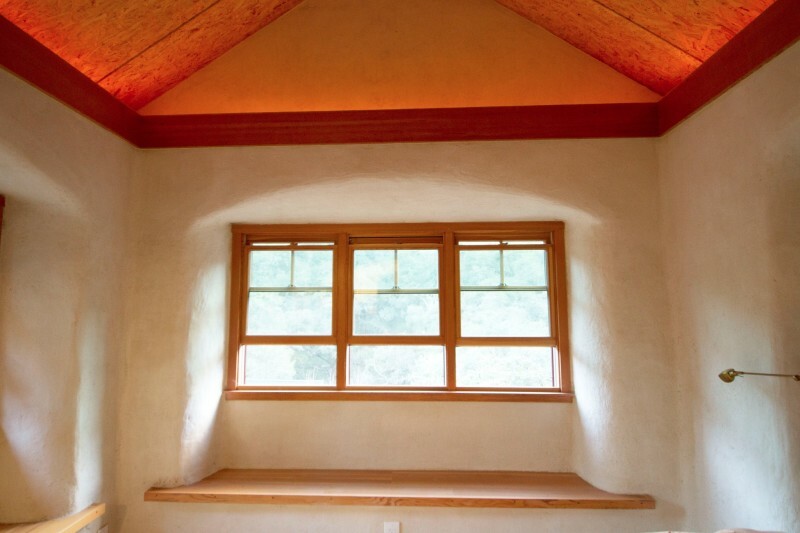 According to Santa Cruz Green Builders, the home’s solar electricity and hot water systems enable it to produce more energy that is consumes, making it a truly sustainable design. 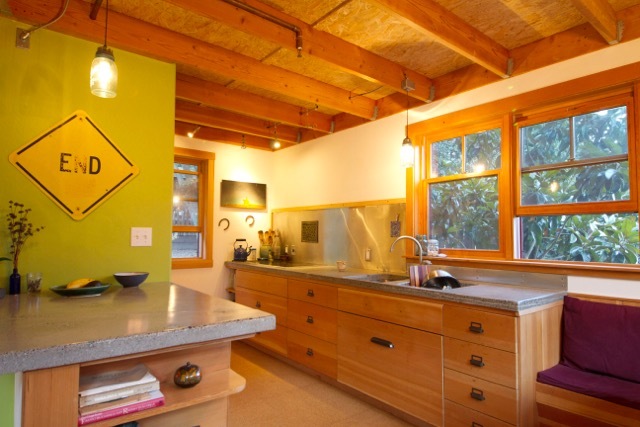 The Midori Haus was originally built in 1922 as a kind of California bungalow, so when owner Chie Kawahara purchased it in 2010 it was a bold decision to reinvest into the structure and turn into a compressive green home design. Today, it uses 80 percent less energy than it did before the remodel. There are a wide variety of green design features homeowners can implement into residential planning, many of which have multi-faceted short and longterm perks. 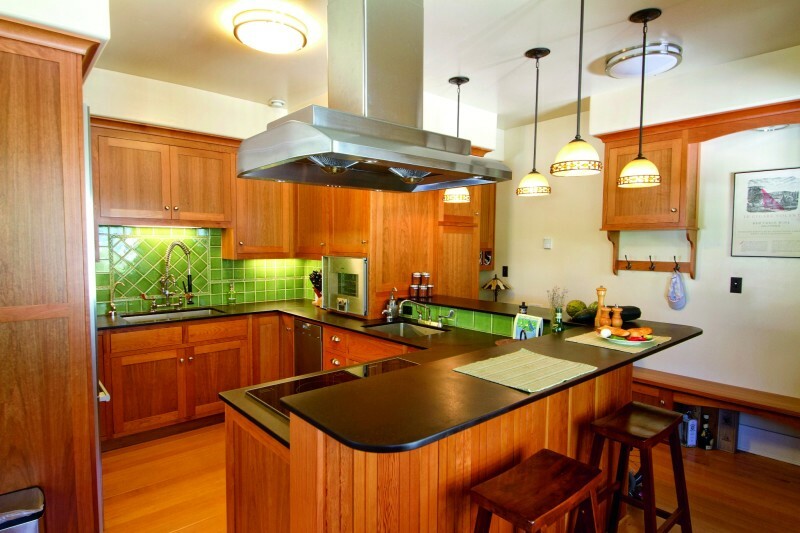 Here are a few to consider when making decisions about your home designs and improvements. Designing roofs with soil and climate-suited vegetation is an increasingly popular way to beautify cities and neighborhoods, and is considered a great way to improve vertical insulation. But beyond the cost and visual benefits, the design—sometimes referred to as “vegetated roofs” or “eco-roofs”—also helps the environment and local infrastructure. Rooftop plants can capture airborne pollutants, helping to filter noxious gases, according to Green Roofs for Healthy Cities. They also help to reduce stormwater runoff and delay how quickly rainwater flows into sewer systems at peak flow periods. Installing rooftop solar panels is one of the best ways to offset your monthly energy bill. Depending on the exposure to sunlight, the average customer saves approximately $130 per month, according to PG&E. The standard amount of time for a home solar installation to pay back the initial expense is between five and seven years. Rainwater catchment can greatly reduce annual water use, allowing homeowners to source water during dry months for outdoor use such as irrigation. Like the Hurley/Kawahara residence, some green home designs may begin to incorporate rainwater catchment systems that connect with the house’s toilets, washing machines, and other plumbing components, helping to create increasingly sustainable homesteads. Beautiful and inspiring. Would love to see many, many more aesthetically and zero energy houses, especially in renovated dwellings.